Two of the most common tasks for database administrators are cleaning the process list from unresponsive queries and remove idle connections that are filling the connection pool. Both tasks are related to poor usage of the database. In a perfect world, users would only run queries designed, tested, and benchmarked by the DBA or the project manager, and the application servers would never allocate more connections than planned. But users are human, and an unpredictable amount of unplanned events can happen everywhere. When I was consulting, the above cases were quite common. 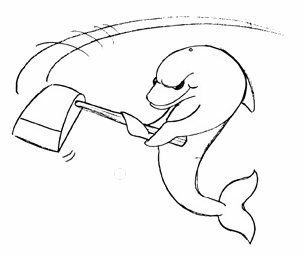 Before MySQL 5.1, the only method to clean up the process list was by hand, or using a cron job to do it from time to time. MySQL 5.1 introduces the event scheduler, and now you can run scheduled stored routines without need of external applications. I created two stored procedures that read the processlist and kill a process if the execution time is longer than 200 seconds or if a process is idle for longer than 200 seconds. The script with the stored routines and the associated events is in MySQL Forge. Notice that you can disable an idle connection by setting the variable interactive_timeout, but this method allows you to be more precise. For example you can state that only idle connections to a given database should be killed, or only the ones from a given user. UPDATE It looks like there is prior art in the same department. My colleague Matthew Montgomery beat me to it loooong time ago. Why purge idle connections every 10 seconds instead of changing the threshold for the idle timout? This system is independent from the idle timeout. 10 seconds is just an example, to show that you can choose whatever suits your needs. Connections can start at any instant, so at any given time you can have a connection flood. With this setting, you can have a maximum of 10 second flooding.